RHR: Is it Possible to Get Off Thyroid Medication? A reader with low T3 levels asks if she can ever get off her thyroid medication. As is often the case, when we look at a question like this, it becomes a lot more complex than it may seem initially on the surface. The first question we have to ask is: Are antibodies reliable in diagnosing Hashimoto’s? If they’re not, what is? Another question would be, what causes T4 to T3 conversion problems in the first place? And the final question is: Is medication the best way to treat those problems or causes? 6:36 Are antibodies reliable in diagnosing Hashimoto’s? 14:50 Can you reverse autoimmunity? 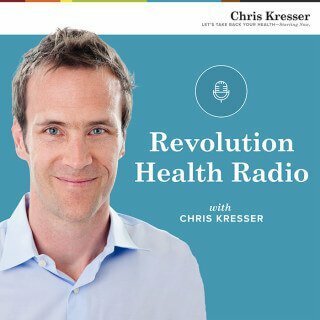 30:46 Is it possible to get off thyroid medication? Steve Wright: Hey, everyone. Welcome to another episode of the Revolution Health Radio show. I’m your host, Steve Wright from SCDlifestyle.com. 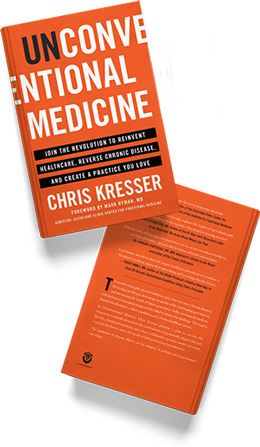 With me is integrative medical practitioner, New York Times bestseller, and healthy skeptic, Chris Kresser. How are you doing, man? Chris Kresser: I’m great, Steve. How are you? Steve Wright: I’m doing good. I’m reintegrating back into life. Chris Kresser: I want you to tell everyone a little bit about what you’ve been up to these last couple weeks. Steve Wright: Okay. Well, it depends on how the sound comes out. I apologize, everyone. They’re doing massive construction outside of my new apartment. I’m in the kitchen right now, trying to find the best acoustics. So I went on a 10-day Vipassana meditation retreat. That form of meditation retreat means absolutely no self-expression—no talking, no writing, no exercising. You just meditate for approximately 12 hours a day. The only people you can talk to are the teachers or the management staff. That wrapped up about five days ago. It was transformational. It was one of the hardest things I’ve ever done, no doubt, but it was so worth it and so amazing. I don’t think words can really express what I’ve gotten from it. Chris Kresser: I know what you mean. It’s such a powerful, like you said, transformational experience. It’s a big commitment to make. But as you shared with us, I know from my own experience that there’s really nothing else like it. There’s no other. It’s such a precious gift to give to yourself. I’m so glad that you did that. Steve Wright: Thank you. I knew I didn’t know myself, but just getting to spend some time with yourself I think was so amazing. I know that there are lots of different forms of meditation. We’ve talked about it on the show a lot. I can’t thank you enough Chris for pushing me in this direction towards meditation. It’s something I probably wouldn’t have done, had we not been friends for the last couple of years. So thank you for contributing to that. Chris Kresser: Oh, my pleasure. You’re the one that made the commitment and did it. It’s really amazing to see what comes out when you’re just sitting there on a cushion, you have no distractions, and none of our typical things that we do to distract ourselves from what we’re feeling or thinking. It’s quite a valuable experience, isn’t it? Maybe we’ll put up a link to the Vipassana website that has a list of all the centers, in case people want to give it a shot. Steve Wright: Awesome. Well, I think the Vipassana Association would love us sending some traffic their way. Enough about meditation, Chris. What did you have for breakfast? Chris Kresser: Today, I had cold-brewed coffee with some cream. It was an intermittent fast day. I just didn’t feel particularly hungry when I woke up. I had kind of a late dinner. I knew I was going to be recording. So that was it. Chris Kresser: So we have a great question today. I think it’s going to be relevant for a lot of people. We’ll give it a second to play, and then we’ll answer it for the rest of the show. Raven: Hi Chris, this is Raven. Love your show. I wanted to know if you think it’s possible to get off thyroid medication? I do not have Hashimoto’s, I’ve always tested very, very low in antibodies, but have had a conversion problem for at least the past 10 years. Originally, when I was put on medication, my T4 levels were good, but my T3 was very low. Now that I’ve been on medication—I’m currently using Nature Thoid and some Cytomel—and I’m trying to lower the dose. My TSH does not kick back in, so it stays at a very, very low level (.07) even when my T4 drops way below the normal. Is there any way to gradually get off medication or should I just resign to my fate? I have felt some improvement, some ability to use less thyroid medication as I’ve been working to heal my gut, which of course, is not very surprising. Still, I’d love some words of wisdom and insight. Thank you very much. Chris Kresser: Thanks for your question, Raven. There are actually several different issues to address here in this question, probably at least four. Hopefully, we can get through those in this episode. If not, we’ll circle back and finish it off another time. Steve Wright: I’ve been doing a deep dive into this, Chris. So I’m ready, man. I’m ready to throw some curveballs your way. Chris Kresser: Great. The first question was her main one, which is, is it possible to get off thyroid medication? Another question or issue to talk about is, are antibodies reliable in diagnosing Hashimoto’s in the first place? If they’re not, what is? A third issue would be, what causes the problems that we see with conversion of T4 to T3? So what causes T4 to T3 conversion problems in the first place? The secondary question there would be, is medication the best way to treat those problems or causes? Number four would be, what does a TSH of essentially zero, 0.07, and low T4 indicate when you’re taking thyroid medication? As is often the case, when we look at a question like this, it becomes a lot more complex and it may seem initially, on the surface. Are antibodies reliable in diagnosing Hashimoto’s? Let’s tackle issues number two through four first, because they’re actually going to inform the answer to the first question, which is, is it possible to get off thyroid medication? In terms of diagnosing Hashimoto’s, it’s actually not quite as straightforward as just doing an antibody test and seeing what the results are. I wish it were. It would make my life a lot easier, for sure. But the first-line test you do, typically what I do, is for antibodies. By antibodies, I mean thyroperoxidase and thyroglobulin antibodies, these are the two antibodies that tend to be elevated in Hashimoto’s. Thyroperoxidase is elevated a lot more often than thyroglobulin. It’s more sensitive to Hashimoto’s. It’s not more specific. So you’ll tend to see it elevated more frequently. Steve Wright: And elevated means anything above zero or lab range elevated? Chris Kresser: Yeah, I do use the lab range. I know some practitioners will say anything above zero is abnormal, but I don’t actually think that’s true. When you look at any kind of antibody test—even Cyrex Labs for their Array #5 multiple antibody screen or any of their gluten intolerance panels—you’ll see that a small amount of antibody production is actually not pathological or abnormal. I don’t know what the scientific basis is for claiming that thyroid antibodies being anywhere above zero is abnormal or indicative of pathology, because I’ve never seen any research to back that up. So I use the lab range. If it’s getting close to the top of the lab range, I will definitely be paying attention, because the cutoffs are always somewhat arbitrary. You know, they’re based on research and prospective studies, and I’ve seen some prospective studies that suggest to me that the lab range should be, perhaps, a little bit lower than it is. Like with thyroperoxidase, usually 34 is the upper end of the limit or somewhere around there. I’ve seen studies suggesting that if you have TPO antibodies above 30, you’re much more likely to develop hypothyroidism in the future. So it’s possible that the lab range should be a little bit lower, but I don’t think it should be zero. The problem with thyroid antibodies is, like almost any lab test that you can mention, they’re not 100% reliable as a way of diagnosing Hashimoto’s. For example, in a study of 100 South Asian Indian people that had Hashimoto’s confirmed by histological analysis—meaning actually looking at the tissue and seeing for sure that they have Hashimoto’s—about 89% had TPO antibodies and 65% had thyroglobulin antibodies. That means that 11% of people with Hashimoto’s would have been missed if you were only looking at TPO antibodies, and a full 35% of patients with Hashimoto’s would have been missed if you were only looking at thyroglobulin antibodies. There are other studies that have actually even shown lower numbers. It’s more like 75% to 80% have TPO antibodies, and as low as 40% or 45% have thyroglobulin antibodies. So what we can say from these numbers is that anywhere between 11% and maybe 30% of patients, if you run TPO and thyroglobulin antibodies that have negative results on an antibody test, may still have Hashimoto’s, even if you run that antibody test multiple times. 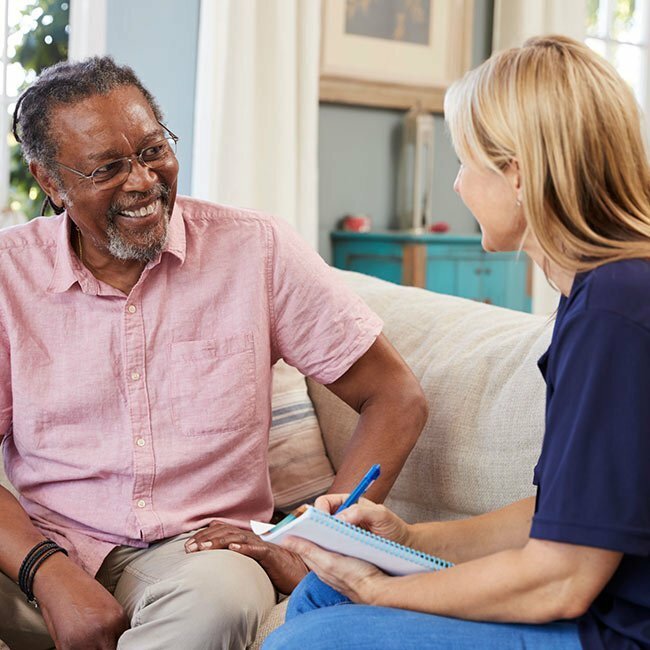 So that’s really important for clinicians to understand, because I’ve seen a lot of patients who’ve been to the doctor a few times before they came to see me. They said, “No, I don’t have Hashimoto’s. I had an antibody test, and it was negative.” Well, you can’t really conclusively rule it out just from an antibody test or two. Steve Wright: Did I hear you correctly there? With these people, where you can do the antibody test like 10 times or 100 times, and they’re never going to show positive? Chris Kresser: I don’t know about 100, possibly 10. I think it’s a lot less likely if you do multiple tests, which is why I always recommend that people do two to three tests over time at least, to see if we can catch it. And I have seen that with patients, where they’ve come and they’ve had one or two negative tests. I test them a third or fourth time, and we catch the antibodies elevated on the third or fourth time. But even then, it’s not necessarily indicative that hypothyroidism is present or will ever be present. So that’s another important thing to understand, that Hashimoto’s itself doesn’t necessarily mean that you have an under-functioning thyroid gland. It means that your immune system is tagging the thyroid gland for destruction. It doesn’t even necessarily mean that destruction of the tissue is occurring actively. And those are all not necessarily connected. They’re likely to be connected, but they’re not necessarily connected. There are a certain percentage of patients, and I think it’s actually over 50%, who produce thyroid antibodies that don’t go on to develop frank hypothyroidism. Of course, people with thyroid antibodies have a much higher likelihood of developing hypothyroidism in the future. In fact, it’s over sevenfold; I think seven- and ninefold greater risk than people without antibodies. But it doesn’t mean that if you have antibodies, that you a) for sure, right now, have hypothyroidism, or b) will ever develop hypothyroidism. That’s important to understand as well. 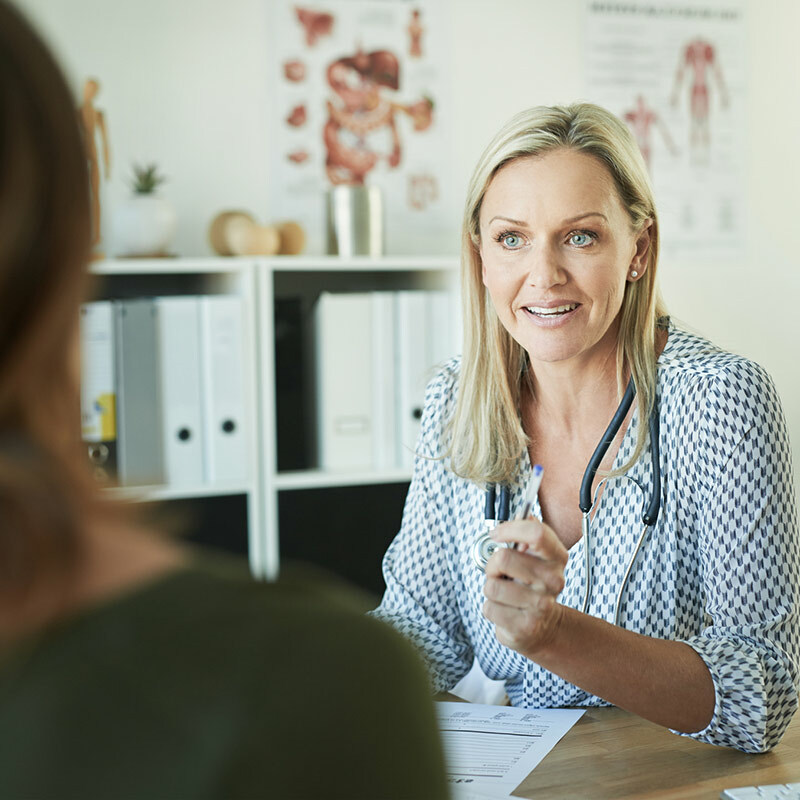 Another test that your doctor can run—typically an endocrinologist will do this test—is a thyroid ultrasound. So they’ll run an ultrasound on your thyroid gland and your neck area. What they’re looking for typically are nodules, little bumps on the thyroid gland, especially if you have a multinodular goiter, like a little mild swelling with a lot of little nodules there. That’s indicative typically of an autoimmune pattern, Hashimoto’s, or if you have hyperthyroid type of symptoms, Graves’ disease. So if you really want to get the best view of whether you have Hashimoto’s, it’s good to combine antibody testing with a thyroid ultrasound. Of course, you could do a biopsy, which would be the most accurate way of detecting Hashimoto’s, but that’s very invasive. You know, sticking a needle in your neck and aspirating tissue there is not very appealing and is potentially dangerous. Given the fact that Hashimoto’s is not fatal or not necessarily even debilitating—although it can be—it’s generally judged to not be worth the risk in the invasiveness of that procedure. So it’s the thyroid ultrasound and the antibody testing. In my practice, if there’s someone that’s had a negative ultrasound and they’ve had a few negative antibody tests, but I really still suspect that autoimmunity is a cause, maybe they have another autoimmune disease or maybe they just have the signs and symptoms of autoimmunity, then I will do a therapeutic trial of an immune-balancing regulating treatment and see how they respond. If they respond really well to that, then that’s really all the evidence I need to help do an immune-balancing regimen from a functional medicine perspective. So that’s the baseline here to understand in terms of Hashimoto’s, because there’s a lot of misunderstanding I think out there in both the conventional side and the alternative side about how to diagnose it and what it means if you actually have it. Steve Wright: Chris, the listener is asking about coming off medications. But we’re talking about Hashimoto’s, and coming up and down in lab ranges that might not even be existent. We’re talking about treatments that sometimes we just use. The question I’m wondering is, “Is there a point where autoimmunity just stops?” Or are we always a little bit autoimmune? I guess what I’m trying to ask is, should people be thinking or should the goal be, to cure or reverse autoimmunity? Or are we approaching a limit of infinity of what is actually possible inside the body? Chris Kresser: Well, I can tell you the conventional view, and then we can speculate and look at some alternative views. The conventional view is that once antibody production starts to a tissue, it doesn’t stop. That’s a good thing mostly. If you get exposed to a virus or a pathogen—any kind of pathogen that we can produce antibodies to—that’s the way the immune system is designed to work. If you get exposed then to that pathogen 20 or 30 years later, you have these memory cells that remember and can start producing antibodies to that pathogen again, even 30, 40 years later. That’s the brilliance of our immune system. So you only really have to be exposed once, and then you’re protected from that for a lifetime. That’s when things are functioning well. But that really clever system can backfire on us when what we’re producing antibodies to is tissue in our body, right? Because once that antibody production starts, the immune system is designed to remember, so that it will always continue to do that. So that’s the conventional view. Then in that way of looking at things, autoimmune disease is not curable. It’s only manageable. What you can do is reduce the environmental triggers that provoke and exacerbate the inflammatory response that destroys the tissue that we’re producing antibodies to. That’s why we talk so much about things like the autoimmune Paleo protocol and glutathione and things that promote regulatory T cell function. Others have speculated more recently that things like intestinal permeability is a precondition for the development of autoimmunity, and that it’s possible, in certain circumstances, that healing the gut, reducing that permeability, for example, would stop the process of autoimmunity and essentially cure it. I don’t really think we know enough about that yet to say whether that’s possible. What I can say is it probably depends on the definition of cure. So let’s think about something like celiac disease. If you remove gluten from the diet and possibly other grains and dairy and cross-reactive proteins, that person could become completely symptom-free, right? So is that a cure? It depends how you define it. Generally, if that person starts eating gluten again, they’re going to get very sick. In the strict definition of a cure, that’s not really a cure, because a cure would be getting them to the point where they can eat gluten with impunity and not experience any symptoms at all. So it’s not a cure, but it’s effectively managed to the point where they don’t even have symptoms at all, by making some relatively simple changes in their life—maybe not easy, but relatively simple. That’s kind of the way I look at it, is that these conditions can often be managed to the point where the symptoms are either gone or not intrusive in one’s life. But as far as that background autoimmune reaction, I haven’t yet seen a lot of evidence—either clinically or in research—that that can completely be cured to the point where there’s no change required. Steve Wright: Awesome. Thanks for opening that wormhole. Steve Wright: Let’s keep rolling here. Chris Kresser: The third question we wanted to address was what causes T4 to T3 conversion problems. If you recall, T4 is 94% of what the thyroid gland produces in terms of thyroid hormones. Then that T4 has to get converted into T3, because T4 is not very active metabolically. T3 is the thyroid hormone that really activates the cellular receptors and does everything the thyroid hormone is supposed to do. So the thyroid gland produces most of the T4, and then elsewhere—not in the thyroid gland, but elsewhere around the body—that T4 gets converted into T3, which is the active form. What Raven is asking about, what we often see is people who have either normal or low normal T4, and then they have low T3. What that indicates actually is that the thyroid gland may be functioning okay, but the conversion of T4 to T3 that’s happening all around the body is not working well. That’s a really important thing to understand. T4 to T3 conversion problems are not thyroid problems. They’re not problems with the thyroid gland. They’re problems that are caused elsewhere in the body that affect the thyroid system. They affect the cell’s ability to receive T3 thyroid hormone. They’ll manifest in hypothyroid symptoms, but they’re not actually a problem with the thyroid gland. It’s crucial to understand that, because it completely informs how we address T4 to T3 conversion problems. For example, giving the patient a whole bunch more T4 medication is probably not a great idea in that situation, because the T4 is not being converted into T3. But that’s the standard treatment for a lot of thyroid problems, is just to give Synthroid or levothyroxine, which is a T4-based medication. So what’s going wrong in this situation? It’s usually three primary causes: inflammation, poor gut health, and very low-carb diets, if the person is in that world. Inflammation and inflammatory cytokines can really mess with T4 to T3 conversion in several different ways. Let me back up. Inflammation can suppress T4 to T3 conversion. It just inhibits that process, but it also messes with thyroid function in other ways. It reduces the pituitary output of TSH, and it also reduces the cellular sensitivity to thyroid hormones. So even if you have enough T3 floating around in your system, your cells can’t receive it. And it doesn’t activate the cellular receptors, so you end up with symptoms of hypothyroidism, even if your labs are normal. That’s inflammation. Poor gut health. 20% of the conversion of T4 to T3 actually happens in the gut. If you have poor gut health, disrupted gut microbiome, SIBO, parasites, leaky gut, then it’s entirely possible that that T4 to T3 conversion that’s supposed to happen in the gut is not happening or not happening well, at least. Of course, gut problems typically lead to inflammation, so you get a little bit of a double whammy there when you have gut issues. Steve Wright: Chris, so with 20%, obviously, it’s probably not 0% to 20%. Like, if you have a banged up gut, it’s zero then. We’re talking about a range, so it’s some fraction of that. Between the body and inflammation, we’ve lost 10%—is that enough that we’re going to be feeling that on a daily basis? Chris Kresser: I think it will depend on the person. The more real-life scenario is probably, let’s say you lose 10% of the conversion in the gut. But you have inflammation, because your gut is screwed up. So that inflammation is also reducing T4 to T3 conversion outside of the gut. So that’s maybe another 10%, 20%. I mean, these numbers are just made up. I have no idea. I don’t think there’s ever been a study that shows exactly that. Then let’s assume that your cells are less sensitive to the effects of thyroid hormone that you do have because of this inflammation. Even though you maybe only have a 20% reduction of your T4 to T3 conversion, you’re not as sensitive to the T3 that you do have. So you get all of these factors that combine to reduce the effectiveness of your overall thyroid system. That’s probably more how it happens in the real-world scenario. Then maybe you’re on a very low-carb diet, because you’re trying to lose weight or you’ve just been told that that’s a good kind of default approach. The problem with that is insulin is required to convert T4 to T3. We hear a lot of bad things about insulin, and certainly insulin resistance is not good. But insulin is a vital hormone. It plays a lot of important roles. One of them is this conversion of T4 to T3. And if you’re on a really low-carb diet—like a ketogenic diet—over a long period of time, you’re bound to have very low insulin levels. This is in some people, not everyone. I’ve talked about this a lot. I’ve talked about it on Jimmy Moore’s show. We’ve had a lot of discussion about this. I want to be clear that this doesn’t happen to everybody. But it’s more likely that someone who’s on a ketogenic or very low-carb diet will have low levels of T3. So those are the three main issues—inflammation, poor gut health, and very low-carb diets—that can cause T4 to T3 conversion problems. What that means, from a clinical perspective, is that just giving more T4 medication is not the answer. 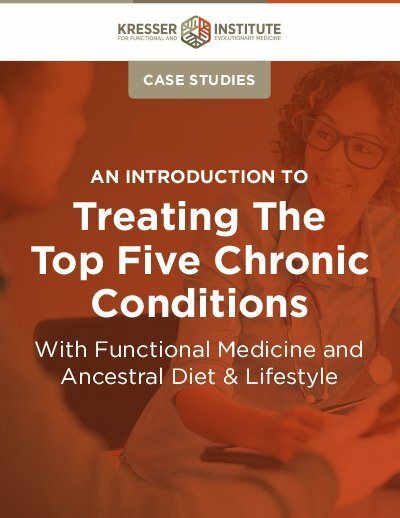 And even giving T3 medication, although it can help, is not really the answer from a functional medicine perspective. That’s because that’s kind of putting a band-aid on a problem. And sometimes band-aids are necessary, they help protect the wound and help it to heal. 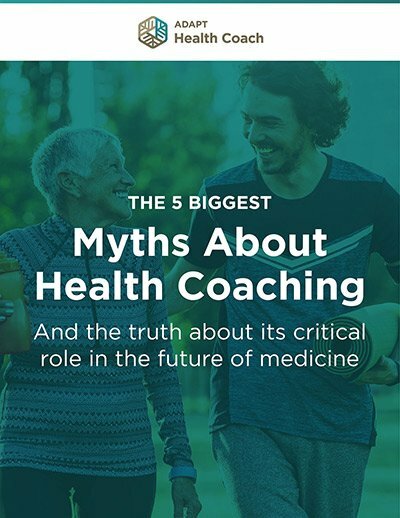 But you really want to address the underlying problem with functional medicine to get the best long-term result. If you need to use a band-aid for a period of time while you’re doing that, that’s fine. There’s nothing wrong with that. I do that in my practice. But not at the expense of addressing the underlying issue. Steve Wright: Yeah. I think it’s always important to be thinking short-term, how can I have the best quality of life possible? And then long-term, how can we get this whole thing handled? Chris Kresser: Exactly. Another analogy we often use in functional medicine is a tree. In order for a tree to have healthy branches and leaves, you have to take care of the roots. But sometimes you need to do a little bit of pruning on the branches, in order for the tree to be healthy too. So it’s not just that we are, at the exclusion of all else, focusing on the root cause, but it’s that we always want to do that at the very minimum. Then on top of that, we may also need to address the symptoms specifically, just for someone to feel better and function in their lives. Okay. The last piece we need to talk about is what’s the significance of a TSH of zero—or 0.07 I think it was for Raven—and low T4 when you’re taking thyroid medication, particularly thyroid medication that has T3 in it. Typically, with a TSH of zero, it either means you have hyperthyroidism, if you’re not taking thyroid medication, but if you’re taking thyroid medication, it means your dose is too high. That’s because if you recall how the thyroid system works, the pituitary is a gland in the brain. It’s like the control tower that’s constantly monitoring the levels of all hormones in the body, and in this case thyroid hormone. When thyroid hormone levels are high or higher than what the pituitary thinks they should be, it will reduce the output of thyroid-stimulating hormone (TSH). That’s the signal that it sends to the thyroid gland to tell it how much thyroid hormone to produce. So if thyroid hormone levels are high, TSH will drop, because the pituitary is basically saying to the thyroid, “Hey, we’ve got more than enough as it is, s don’t make any more.” On the other hand, if thyroid hormone levels are low, then you’ll see TSH go up, because the pituitary, at that point, is shouting at the thyroid gland, “Hey, kick things up a little bit. We’ve got low levels of hormone.” So when you see a level of zero, that means the pituitary is like slamming on the brakes and saying, “No more thyroid hormones. This is too much.” That’s a sign that your thyroid medication is too high typically. So you’ll want to speak with your doctor about modulating the dose of the medication, so that your TSH range is back in that normal range of 0.5 to 2.5. That’s the functional optimal range for TSH. In terms of low T4, that’s also typically a reflection that you’re taking thyroid hormone, particularly T3, because if you think about it again, the way that the body protects itself from too much hormone is it would tell the thyroid to produce less thyroid hormone. Then the thyroid itself would produce less thyroid hormone, which is T4. So seeing this pattern is very typical when someone is on thyroid medication. Now I do want to say that if TSH is normal or at the low end of the range—like 0.5 or something like that—and T4 or free T4 is slightly low—maybe 0.8 for free T4 or maybe 5 for total T4—that’s not necessarily a problem. That’s indicative that you’re taking supplemental T4, T3 combination or just T3 alone, and it’s not a problem. What determines whether it’s a problem is the TSH level. So if the TSH is at zero and T4 is low, I would say that’s a clear indicator that the medication dose is too high. If the TSH is normal and the T4 is slightly low, I would say that’s probably not an issue. Of course, we have to say that before you make any changes to your medication, make sure to speak to your doctor. Don’t take this as medical advice. I’m just sharing with you what the research says about these numbers and what this means. Steve Wright: What happens if TSH is above 2.5, like 5 or something? Chris Kresser: If TSH is above 2.5, it means your dose is too low or you’re not addressing other fundamental problems, like the gut issue, the inflammation, and some of the other things that we talked about. That’s probably a topic for a separate show. But the lab range for TSH, as I mentioned, is too broad. It’s usually 0.5 to 4.5. But more recent studies have shown that the normal range for a healthy, functioning thyroid, the TSH range is 0.5 to maybe 2.2, at most 2.5, but definitely not 4.5. Okay, let’s wrap this up. I know we’re probably going a little longer than normal today. Let’s circle back now to Raven’s main question, and a lot of people’s main question. I hear this all the time. Is it possible to get off thyroid medication? The answer, after everything that we just went through, is it depends. It’s always the answer, and it’s true. It depends, of course—I hope you can see this now—on what’s causing the problem. In Raven’s case, if she truly doesn’t have Hashimoto’s, it’s possible that fixing the gut and reducing inflammation, if that’s what’s causing the low T4 to T3 conversion, would be enough to resolve the problem, and she wouldn’t need to continue to take thyroid medication. Or maybe in another situation, if we found out that Raven was iodine deficient and that was the real cause, or selenium or zinc deficient—I’m going to add this back to T4 to T3 conversion problems. Selenium deficiency and zinc deficiency can also cause problems with T4 to T3 conversion. If we find that she’s deficient in selenium and zinc, we restore those nutrients, the T4 to T3 conversion improves, no more need for thyroid medication. Steve Wright: Since you just opened the wormhole again, do you want to throw neurotransmitters in there too? Chris Kresser: That will just take us too far down the rabbit hole, so we’ll come back to that. Chris Kresser: So if the cause of the thyroid problem in the first place can be addressed, then yes, you can get off the thyroid medication. But what if Raven does have Hashimoto’s, and what if she had it for 20 years before she developed hypothyroidism, which is entirely possible and often common? And what if, over that period of time, the immune attack against the thyroid gradually destroyed the thyroid tissue, which is where thyroid hormone gets produced? In that case, it’s probably not possible and not even desirable to get off of thyroid medication, because thyroid hormone is so essential to every cell in the body that any potential downside of taking thyroid hormone replacement—either like a pharmaceutical approach, synthetic, like Synthroid or levothyroxine and Cytomel, or bio-identical porcine thyroid source medication like Armour or Nature-Throid or desiccated pig thyroid that you can buy over the counter—that would all be advisable over the long term in a person like that. That’s because they need the thyroid hormone to function well, and their thyroid gland is compromised. And as far as we know, that tissue doesn’t grow back. So in that situation, in that person, it wouldn’t be possible for them to get off thyroid medication. It wouldn’t even be a goal that they should be thinking about. So it really depends on the situation, as I hope you can see from today’s show. Raven, I hope that answers your question. I hope everybody else got something out of that as well. It was a lot of information in a short time, but hopefully, that helps. Steve Wright: I think the wrap up there was great, Chris. We didn’t start the show like that because it would have led to a five-hour show. But the thyroid is part of the HPA TG axis. The thyroid is right in the middle of that large acronym of basically all of your hormone structures. So if you’re someone who’s bent on getting off your thyroid medication or stay in this, you’ve got to think about that whole chain, because they all interact together. We’ve only touched upon that topic today. It sounds like Raven has a lot to work with. Chris Kresser: I hope so. Thanks again, everyone, for listening. Steve, good to have you back. We’ll see you next week. Thanks for this, a really useful post. I have low T3 and huge T4 to T3 conversion issues. I would love to not have to take my 90mcg of T3 eventually. I’m not sure exactly what caused my T3 issues, I think it was a mix of antibodies (numbers never got much higher than 50 though) but biggest factors were genetic haemochromatosis (hopefully will be treated by venesection in the next few months) and Lyme disease. I’m still hoping I can start lowering my T3 only medication after venesection treatment. I’m a firm believer in the bodies regenerating abilities……..worth a go anyway! Left thyroid has a mass 3.8-1.8-2.3 cm it biopsy done in June 2016 was negative. Just wonder about glutathione in the T4 to T3 conversion process. Having done an organic acids test my glutathione levels are very low (non existent!). Would taking NAC and Alpha Lipoid Acid boost my glutathione levels and therefore help conversion of T4 to T3. My T4 and T3 are just in range but Reverse T3 is very high. My TSH was 5.5 but has come down to 3.5 with some managing and my TPO’s and Thyroglobulin are highish but not hugely so….have had Hashimotos for years. Any advice appreciated! Thank you. Great show! I often see lower TSH levels in patients and have then lowered their medication and they fell worse. This is after I have helped them heal their gut, etc. If the TSH is below 0.5 and the patient is feeling good and their Free T3 and T4 levels are optimal would you still suggest lowering the dose? I feel that just looking at the TSH for it to be low can be misleading. I’m sure there are lab inconsistencies as well. There is just so much conflicting information and I know its confusing to patients when so many doctors in a traditional practice look at the TSH only. Thanks for all the insight you give, it has really helped me assist my patients better!